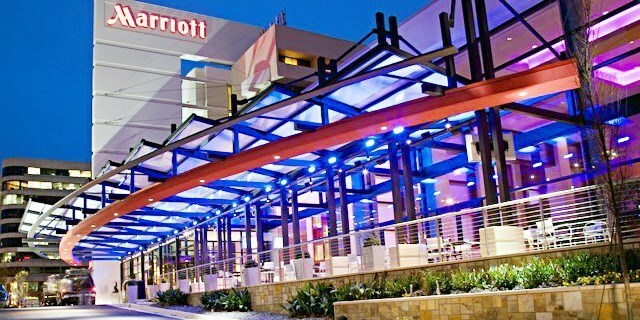 Treklanta is pleased to announce that our 2019 convention will be held at the Atlanta Marriott Buckhead Hotel & Conference Center in the heart of Buckhead, directly across the street from Lenox Square, half a block to the north from Phipps Plaza and half a block to the south from the MARTA Lenox Station. 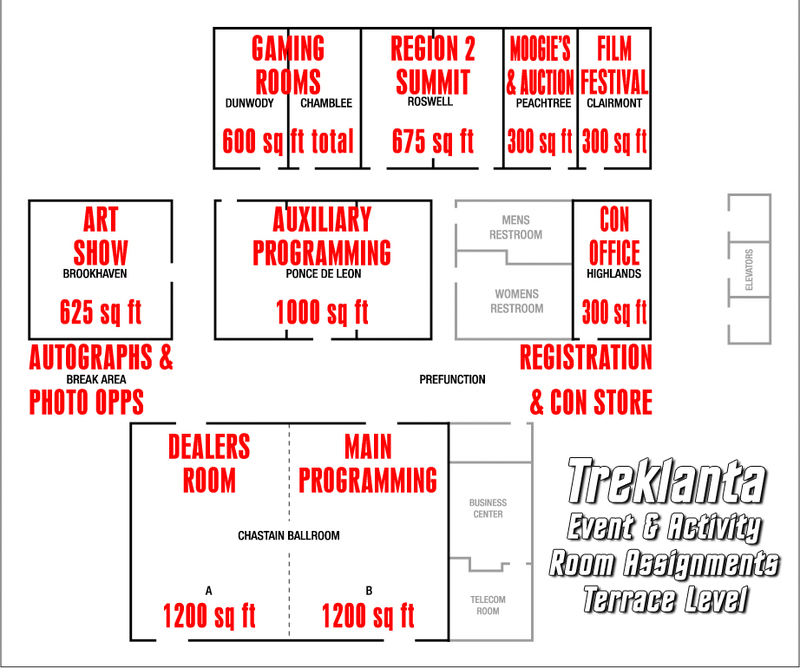 We have secured the entire Terrace Level of the hotel (one floor below street level) for the convention. Our special guest room group rate is only $109 per night for a standard double or king room. When booked through this web page, that rate is GUARANTEED to be the lowest room rate available anywhere, including the Marriott's own reservations web site and all third-party hotel booking web sites. If you find a lower rate anywhere, please let us know! When you book your reservation by clicking the "Book Your Room" button below, you will also be able to purchase overnight on-site parking and the hotel's daily breakfast buffet at deeply discounted rates. The discounted rate for self-parking for the first vehicle per room is $14 + 16.9% tax per night, a 50% discount from the regular rate of $28 per night. Only one vehicle per room is eligible for this discount. The discounted rate for the hotel's breakfast buffet is $12 including gratuity + 16.9% tax for up to four persons per reservation, a 40% discount from the regular rate of $19.95 plus gratuity + 16.9% tax. These discounts are available ONLY when booking through the Treklanta reservations page and will NOT be available on site. PLEASE NOTE: In addition to your hotel room, all parking fees and breakfast buffets sold through the Treklanta reservations page count towards our minimum revenue guarantee with the hotel. Parking fees and all meals purchased on site do NOT count towards that minimum. By purchasing these items in advance through our reservations page, you support Treklanta by contributing to our guaranteed minimum. THANK YOU FOR YOUR SUPPORT!